Bernand Fr�deric is a mediocre bank executive, married and with a son. He used to have antother profession: to be French star Claude Francois. Now, with the Imitators Gala Night coming up, he must choose between his wife or the only thing that makes him fully happy: the applause. I haven't had this much fun for a while! 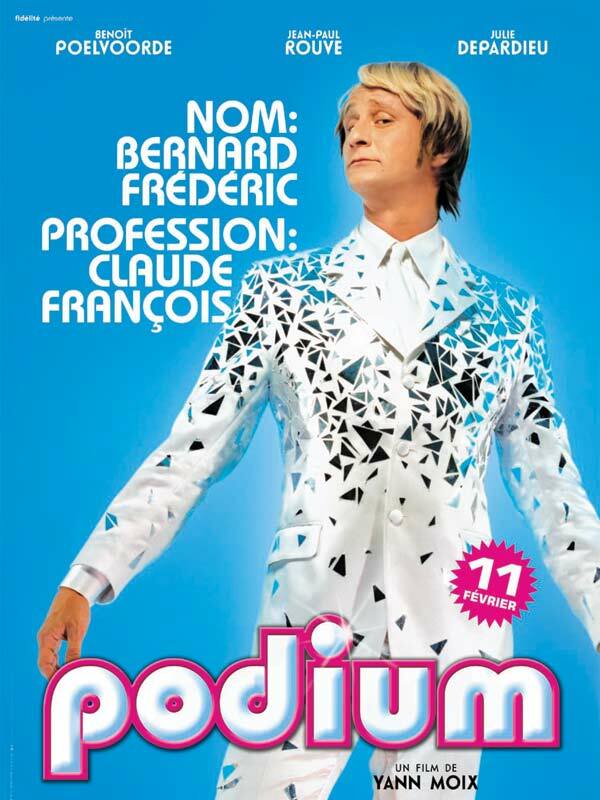 Courtesy of the 8th French Cinema Tour, "Podium" just hit theaters in a festival-like run here, Oh! I got so lucky! It's such a funny comedy, one of the best I've seen coming out of La France, and one of the best of the year for sure. Benoit Poelvoorde is Belgium's national treasure for sure. He's performance is outstanding, he played Bernard Fr�deric with such emotion, wit and realism that I'm gonna be real mad if he doesn't get a Best Actor nomination at the Cesars. The thing that is so great, is that his character is hateful and charismatic at the same time. He believes he's a star, so he starts acting like one: mean and rudely. He's a great singer and dancer too (maybe Kevin Spacey could borrow him some ideas). 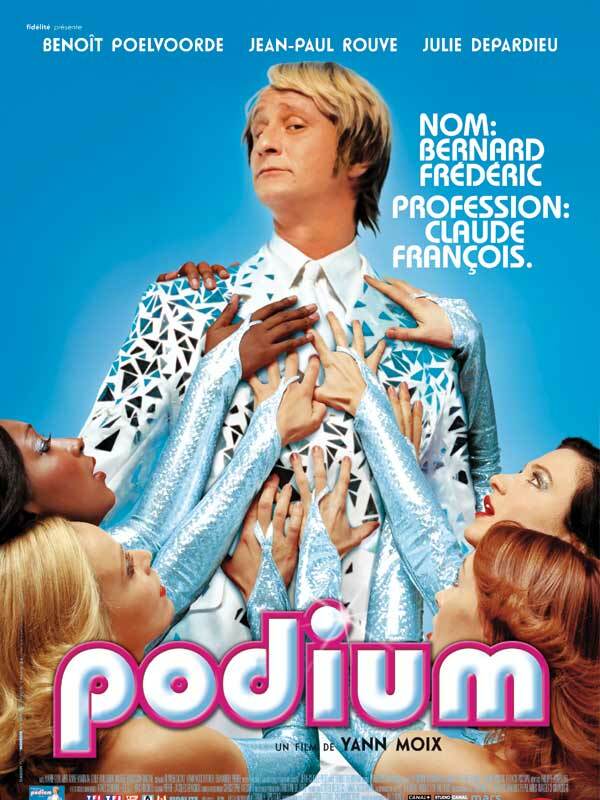 Great writing, solid direction, hot French chics (or according to Bernard, "sexual bombs") in a comedy that smartly explores the obsession for fame, celebrity and pop idols. You won't regret if you watch it. Believe, it is worth it. The tribute to French super star, Claude Francois is there, making the whole thing nostalgic. And one more thing... perhaps Americans should keep their hands out of it, and not starting to think about a remake. I suppose it will start its international commercial run in 2005, so where it's available, don't miss it!